Aprons for Gloves Boxing Association hasn't added a story. Re: Fire at 485 Commercial Drive and Loss of Our Gym. On the morning of Nov 2nd, 2013 news was delivered to our team at The Eastside Boxing Club that Woodland Smokehouse had suffered a devastating fire and the entire business had been demolished, leaving our gym and all of its contents unusable due to extensive smoke and water damage. The Eastside Boxing Club is a not-for-profit, volunteer run gym located in the heart of East Vancouver. In 2012, after over a year of fundraising, the club officially opened its doors at 485 Commercial Drive, taking over the top floor of the iconic Woodland Smokehouse Building. Everyday since then dozens of coaches, kids, amateur fighters and boxing enthusiasts have filled the room, training and learning side by side. This gym not only represents the community spirit of the Eastside, but also a safe place for at-risk youth to share in a positive and healthy environment and closing the club will have a devastating impact on the team of volunteers, coaches, trainers and participants who call rely on this space and call it home. The financial and logistical factors involved in rebuilding what was lost that day are overwhelming. Our organization prides itself on being a strong community partner by offering subsidized exercise programs to at-risk youth, free training for women dealing violence and abuse as well as low cost membership to the general public. It is our goal to rebuild and reopen this incredible space as soon as possible. The future of our current home is uncertain but our team is committed to the task. Please help us share this message as we ask for support from the community. Our first fundraiser benefitting the rebuilding of the gym is being held on Nov 10th at the Bottleneck Bar at 870 Granville Street. Please check our event page for details. info@eastsideboxing.ca to find out more ways to help. Aprons for Gloves Boxing Association hasn't posted any updates yet. 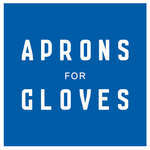 Aprons for Gloves Boxing Association is managing the funds for this campaign. Aprons for Gloves Boxing Association is a verified organization.